In one of my earlier posts about Paul Wright, I show a photo of the Paul Wright demi-pointe and discuss the discontinuation of his pointe shoe brand in 1995. Since that time, the Paul Wright name brand has continued to supply the dance world with innovative and top-quality dance wear. 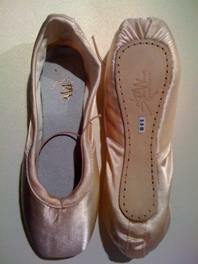 Ballet slippers remained on the inventory, even though the pointe shoes were discontinued. That is, until now. Paul Wright fans will be happy to know that a new pointe shoe model has been introduced back into the Paul Wright dance wear collection, the Debut. This model is still a mystery to me, however, because I couldn’t find any design specifications about them. I found the Debut model being offered for sale on a merchant directory from the country of New Zealand. New Zealand is a beautiful island that sits off the south-east coast of Australia. I can’t say for certain whether the Debut is made in Australia or New Zealand. For now, I will put the PW Debut under the category of a New Zealand pointe shoe brand until I can find out more about it. The dance supply company, Dance Wear Essentials, located in Tauranga, New Zealand is selling the new debut model. There is no photo of the Debut on this website yet. Visit the link below and scroll down to the bottom of the pointe shoe page where you can find the Debut for sale. 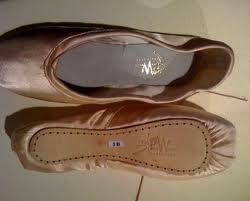 This entry was posted in New Zealand Brands and tagged Paul Wright, Paul Wright Debut, Paul Wright pointe shoes. Bookmark the permalink.